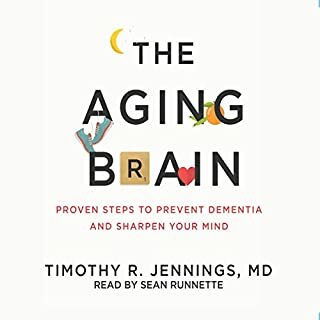 Although this book does a fantastic job with giving guidelines on living a healthy life, designed to avoid dementia and aging, with a wonderful narrator that makes it a pleasure to listen to and makes me excited to try his suggestions- it is SO religious! The author literally argues that it is unhealthy to be atheist and spends several chapters on why you should believe in New testament God and afterlife. What this is doing in a book on dementia is beyond me. I appreciate the advice on having a spiritual grounding and finding ways to relax, but I do not like the Christianity-centric prescriptions. He even cites Dawkins book, The God Delusion, but clearly doesn't see that the underlying point is not about Old Testament God but all religion. If you are an ardent atheist you will find this difficult to listen to at times. If you're a mainstream Christian you'll probably really like it. And if this book actually convinces you it is unhealthy to be secular or that all atheists must be existentially depressed, it's not true! Atheists are just as happy and depressed as everyone else. The author cites no research for his arguments to the contrary. 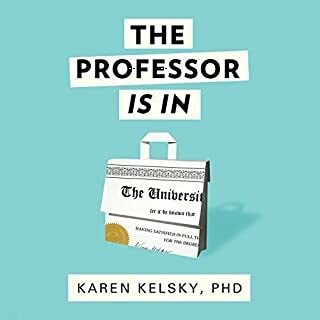 Highly recommend for anyone getting a PhD and considering a career in academia. However, the book is rather focused on humanities. lots of advice is not relevant to Computer Science, so you have to be vigilant about what applies to your field. If you are considering a career as a professor but havent taken any steps other than what's required by your PhD, you won't be ready. this book shows you why. Covers how to properly do a 5-year plan, how to be marketable in academia, how to interview and negotiate, and more. I was not considering a career in academia and viewed it as a "back up". Now I see the true rigor and complexities of applying to academic work and how you must mold your PhD for it. this really is the perfect overview to natural childbirth. it gives plenty of references and ideas that you can do more research into yourself. the readers and performance was also very high quality, enjoyable and very entertaining. there were some anecdotal examples, but most premises were based on science and statistics. highly recommend! What makes us the way we are? Some say its the genes we inherit at conception. Others are sure it's the environment we experience in childhood. But could it be that many of our individual characteristicsour health, our intelligence, our temperamentsare influenced by the conditions we encountered before birth? That's the claim of an exciting and provocative field known as fetal origins. 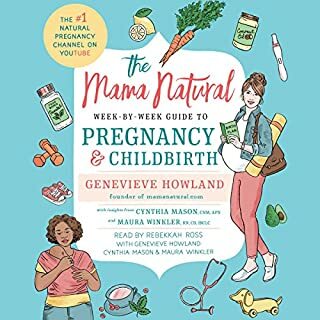 Really interesting and scientifically based book that also follows the personal pregnancy of the author. 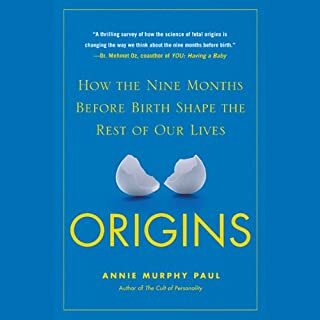 I was just interested in the subject so this was perfect for me, but if you are interested in epigenetics and how to actually influence your fetus you'll need to reference some other books. Highly recommend this for anyone interested in fetal development. 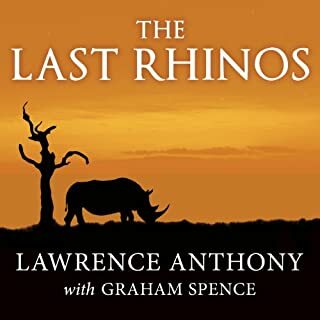 Incredible and final story by Lawrence Anthony. Highly recommend, along with the Elephant Whisperer (which I recommend is read first). 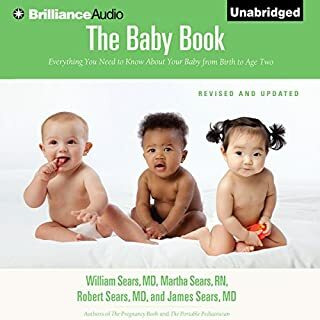 I've listened to several research-based baby books here on Audible and have enjoyed this one the most! It is very short, but extremely informative and gets right to the point. 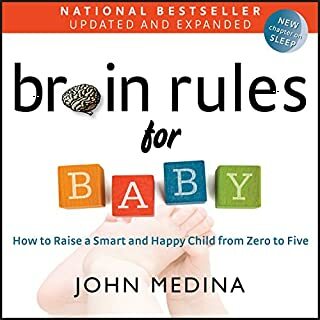 I'd certainly recommend this if youre looking for a straightforward set of easy to follow, scientifically valid rules for brain development. The author also drops in many anecdotal memories, stories, and quotes which makes the book heartwarming and engaging. Large part is dedicated to vitamins and minerals but the takeaway points are a little obscure. Very large part is on obesity, diabetes, etc. 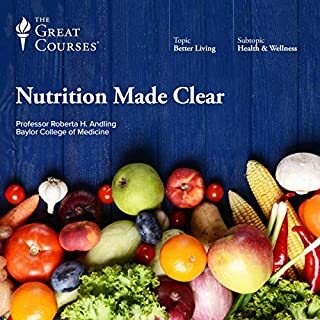 This lecture series seems better for those with poor nutrition and lifestyle trying to understand and ease into good nutrition. If you're looking for a deep scientific review of nutrition, thats not here. Many different studies are mentioned, but almost all seem inconclusive. To sum it up: exceptional people are largely a result from environmental factors. If you find this intriguing, read the book. Otherwise, it may not be groundbreaking to you. He does address several pretty interesting specific examples though, like the heritage of Bill Gates. 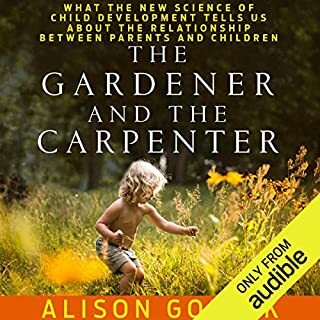 Really great book that takes you through historical and traditional child rearing ideals to modern day misunderstandings. It was an enlightening read on how childrens' brains develop and how wrong our traditional ideas of this are. 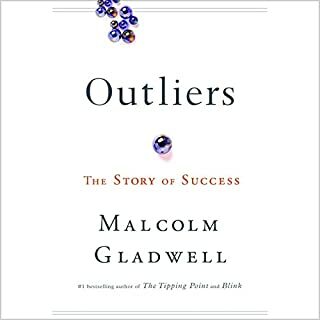 It's a very short book but touches on many examples and interesting view points. It had a good flow but not many action points to take away, except that I feel I need to read more about the subject!